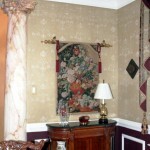 French Violet Breche faux marble accented with silver leaf detail on shells, Collegeville, PA.
Faux marble column in French Violet Breche and walls finished in distressed damask. 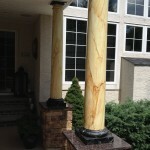 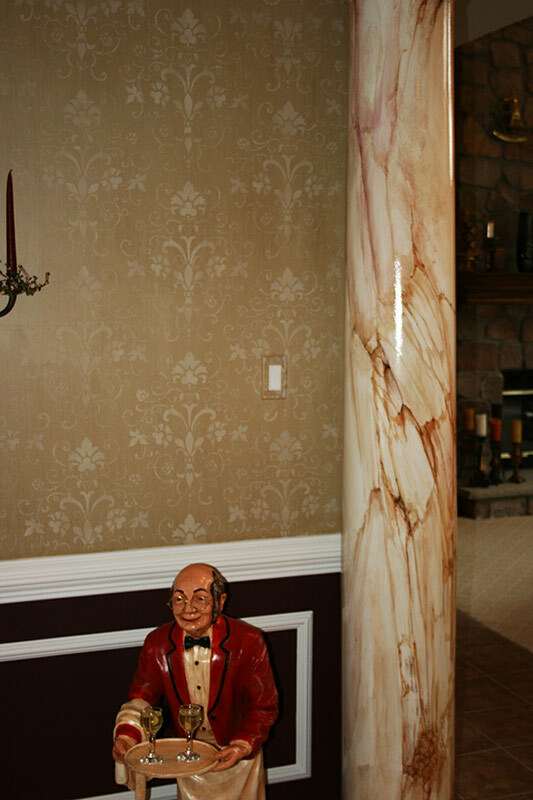 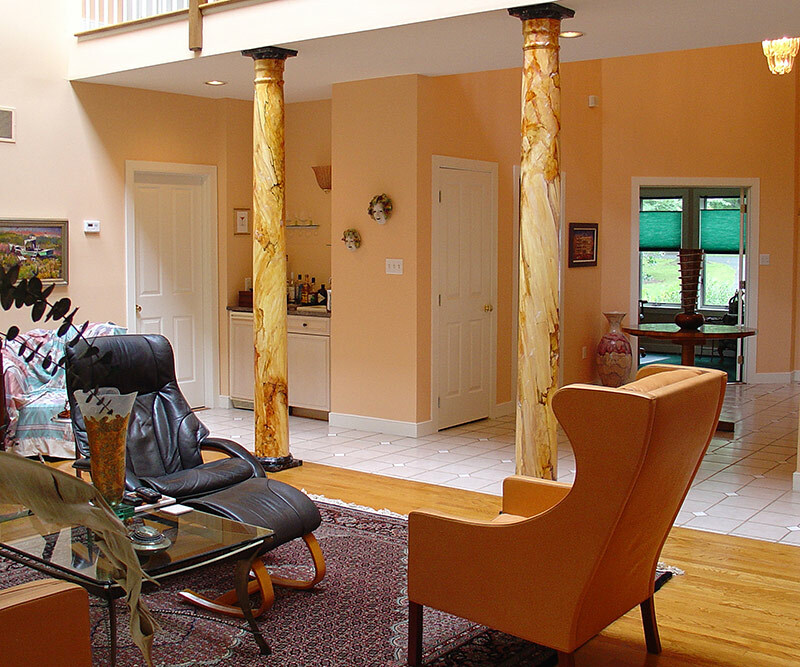 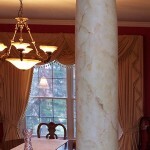 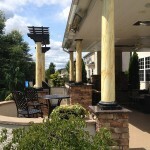 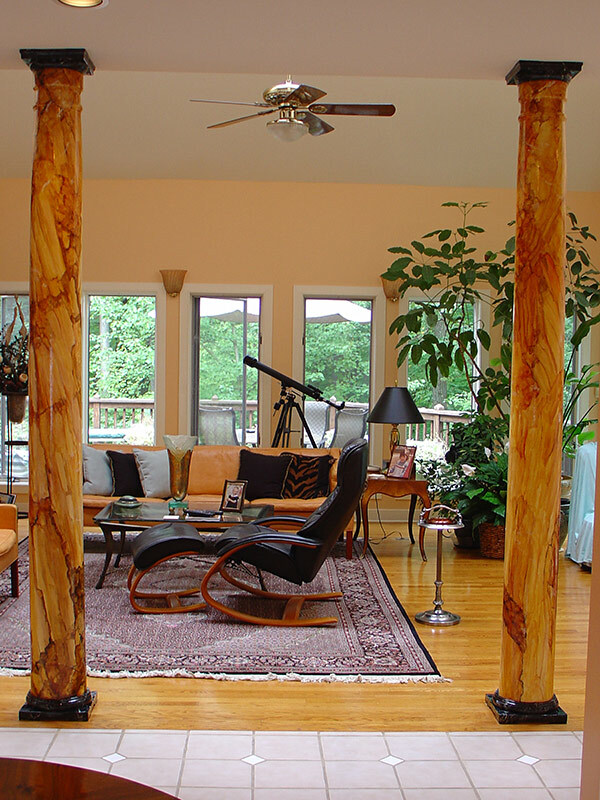 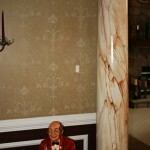 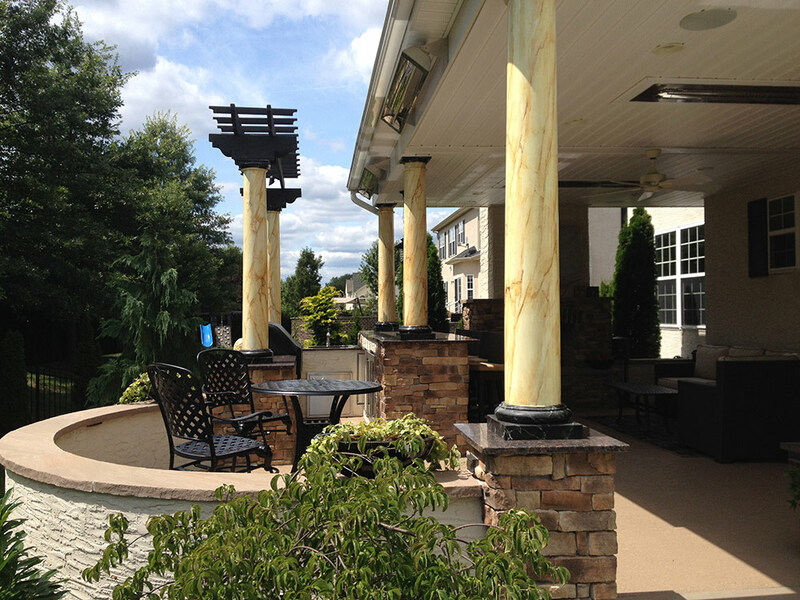 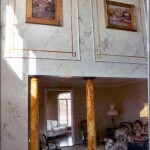 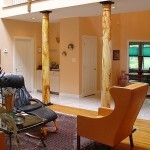 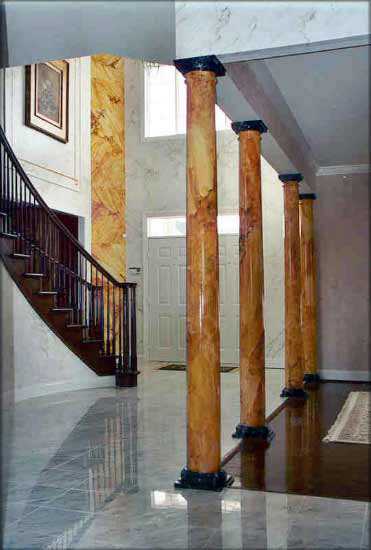 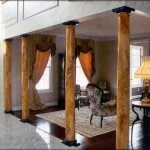 Painted in oils, these columns are painted in faux Siena antique, which is an extinct marble. 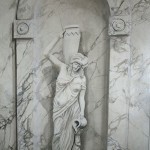 Being extinct makes it a good choice since painting it is the only way to get it anymore unless it is removed from a location. 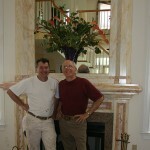 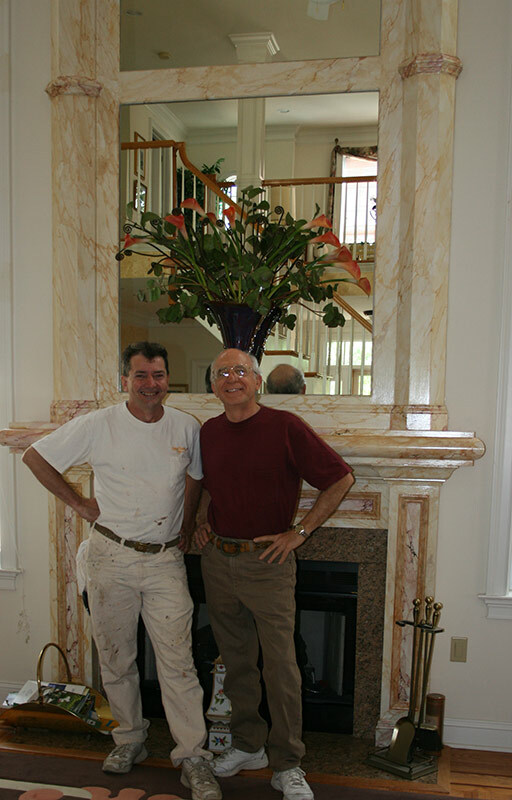 Local writer and myself in front of fireplace and wall of faux breche violet marble. 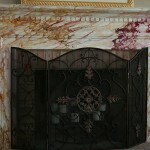 My exhibit as displayed in the M.C. 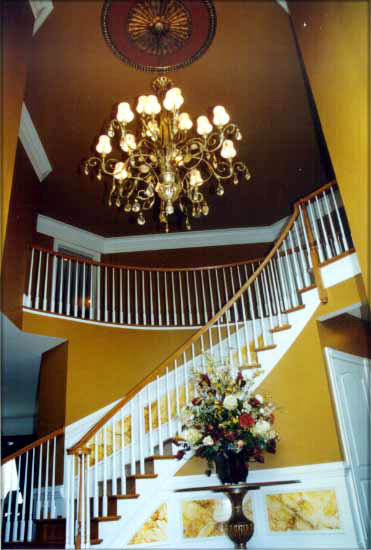 Escher museum in the Hague, Netherlands, during the summer of 2006 (a great honor for me as he has been one of my favorites since I was 9). 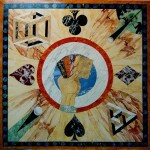 My piece is a Faux Pietra Dura with elements of M.C. 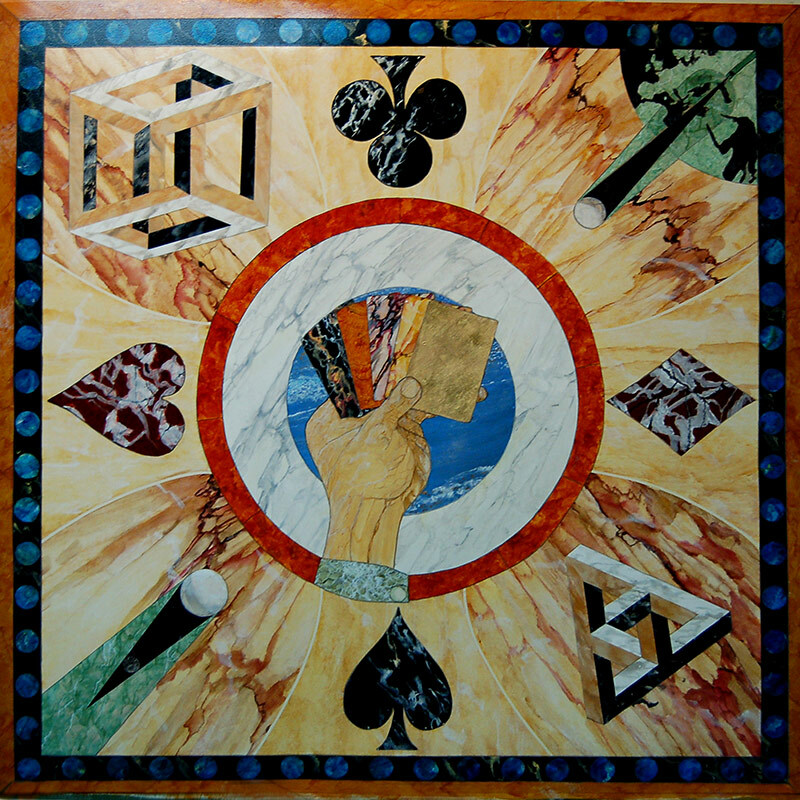 Escher drawings, the eclipse which occurred at the time of the Salon and a theme of the deck of cards, all painted in faux marbles and precious stones. 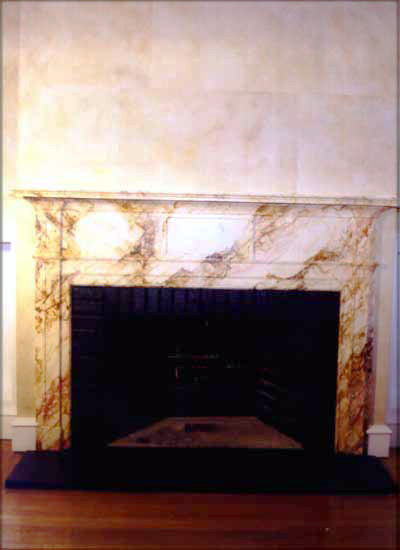 The exhibit was comprised of the members of the Salon of Decorative Painters. 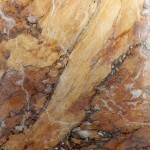 This is our sample of antique sienna marble. 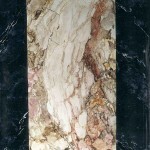 This is an excellent choice for columns or tops of bureaus and desks. 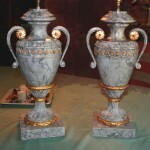 Grande antique bordered with petite antique. 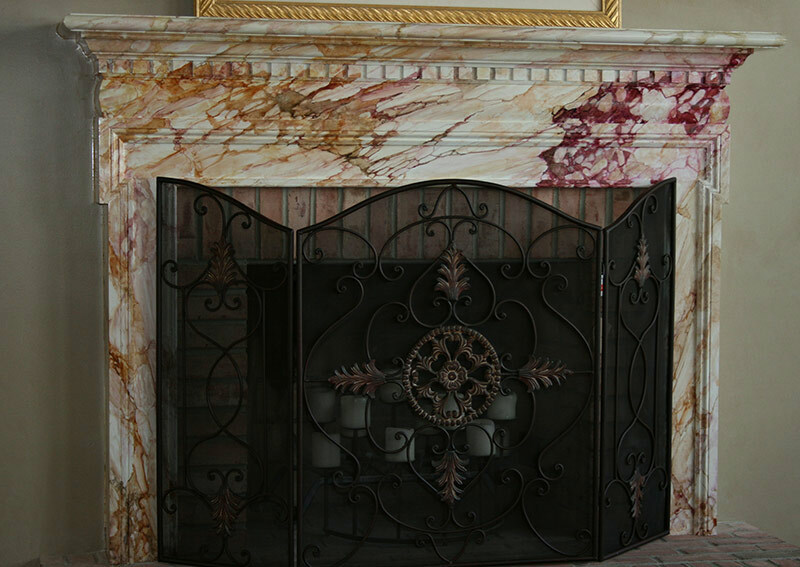 “Violet breche bordered with petite antique. 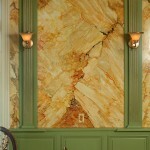 Faux Siena Antique Marble On Walls. 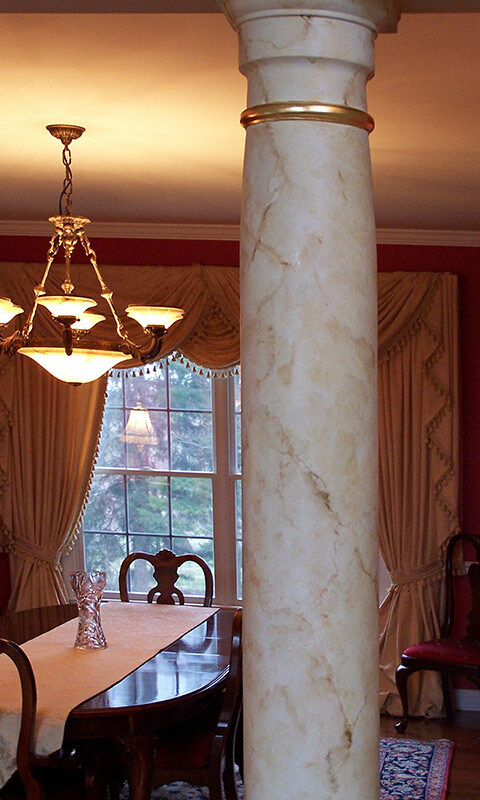 Gilded ornament centerpiece with faux alabaster center used in dining room. 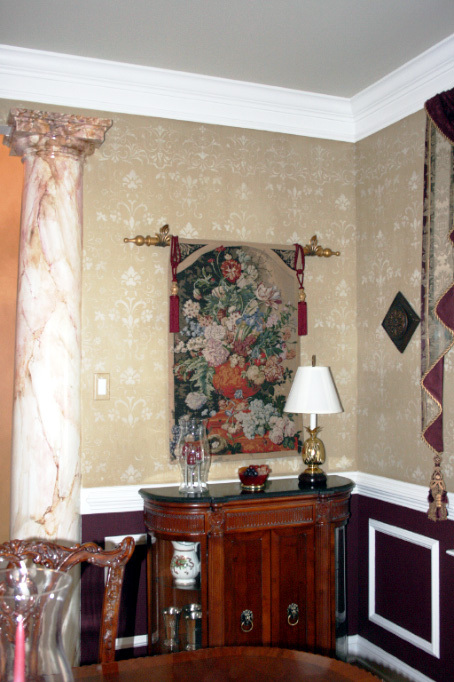 Ornamental designs available to customize your room. 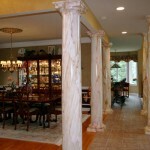 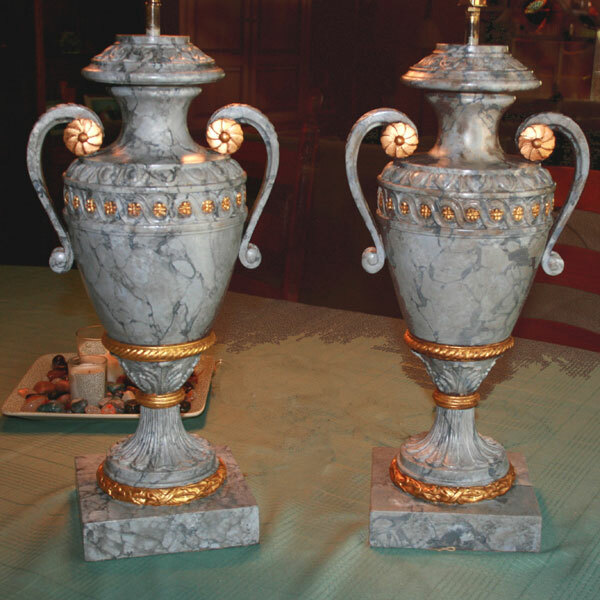 We marbled these columns in Breche marble in Siena coloring on the bodies and French Petite antique on the caps and bases. 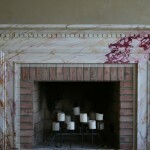 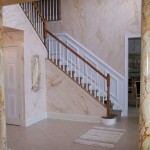 Marbled in French Violet Breche, Residence in Montgomery county,PA. 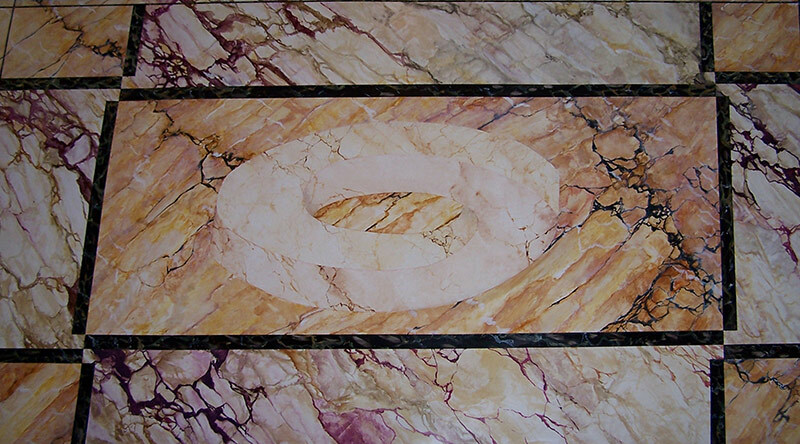 Marbling is the preparation and finishing of a surface to imitate the appearance of polished or honed marbling. 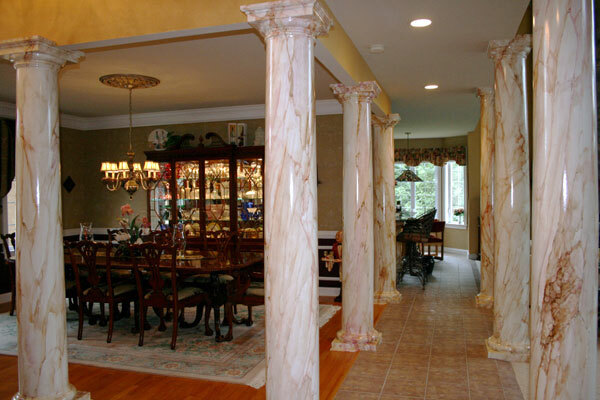 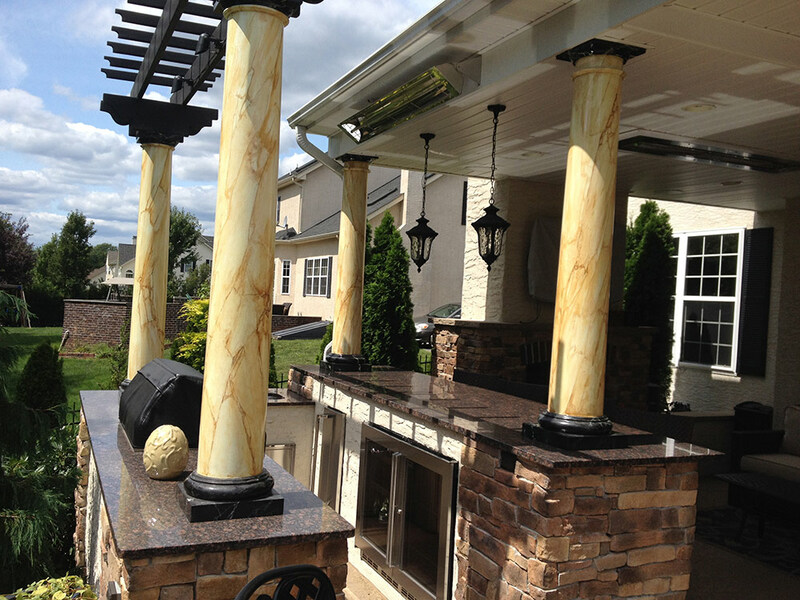 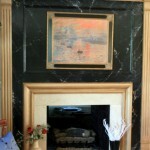 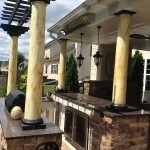 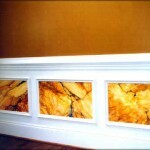 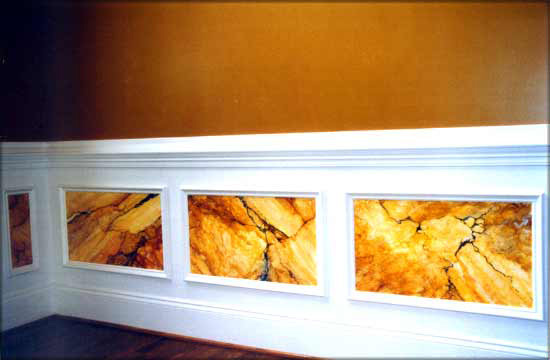 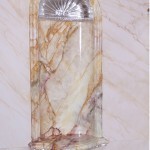 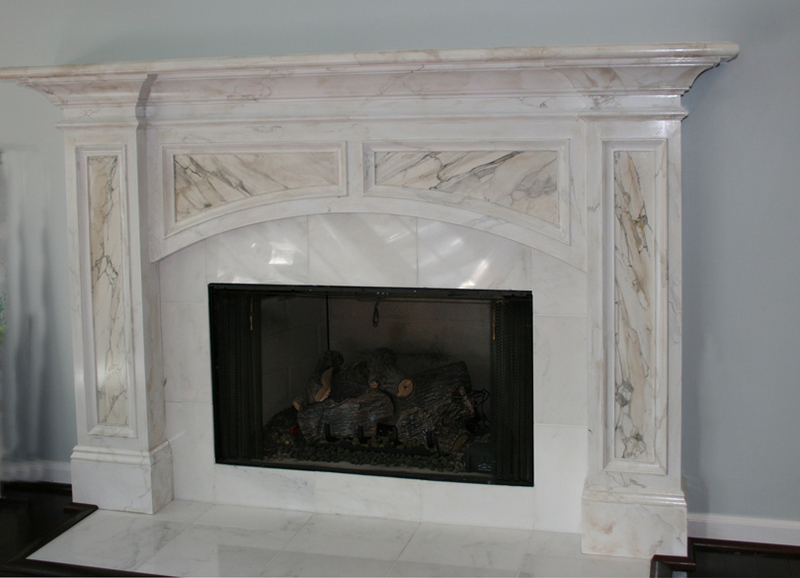 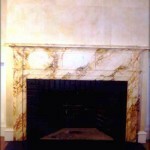 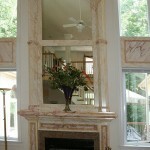 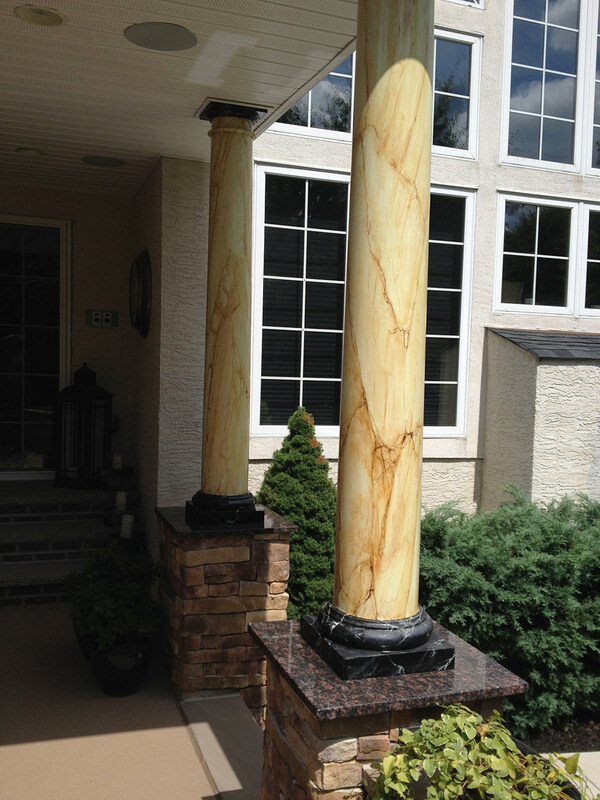 In residential use in Bucks County, Montgomery County and Delaware County, Pennsylvania, columns and wall niches are typical areas to use this marbling art form. 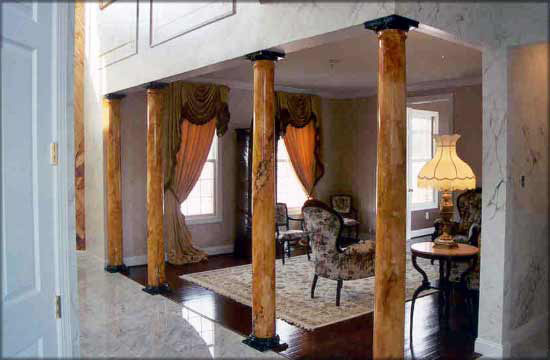 Composition materials for columns have taken the place of wood and are a much better substrate to begin with since it is already very smooth, leaving more time for the decorative artist to ply their trade. 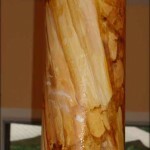 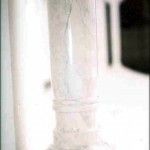 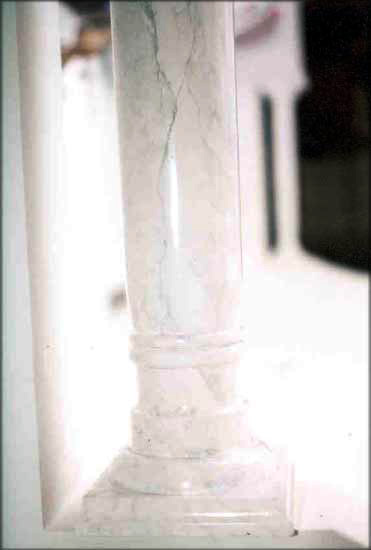 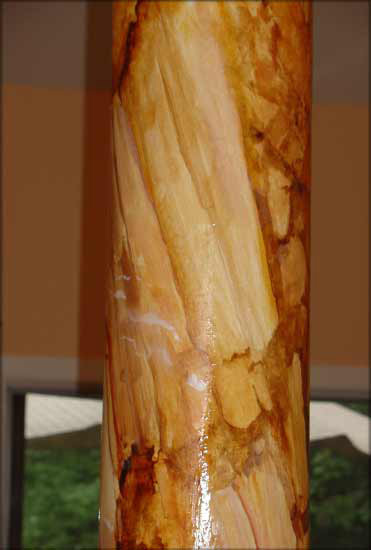 A common mistake is the “barber shop pole” look, in which the untrained paint going round and round in a descending swirl which is not what a hunk of marble would look like after being turned on a lathe. 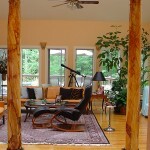 To be most like nature is the ultimate goal of the trained marbler. 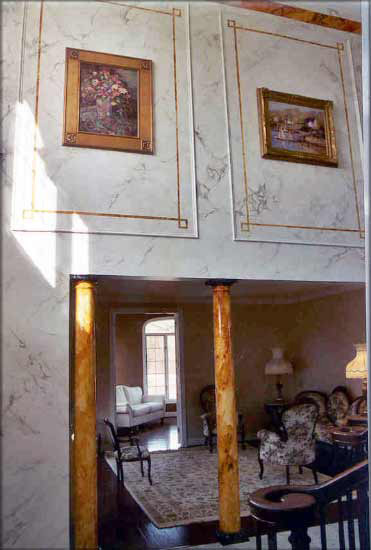 Visualizing the block of marble on through to the other side and painting it that way is going to end up with a natural and authentic marbling presence for your Philadelphia, Bucks County, Montgomery County or Delaware County, PA home. 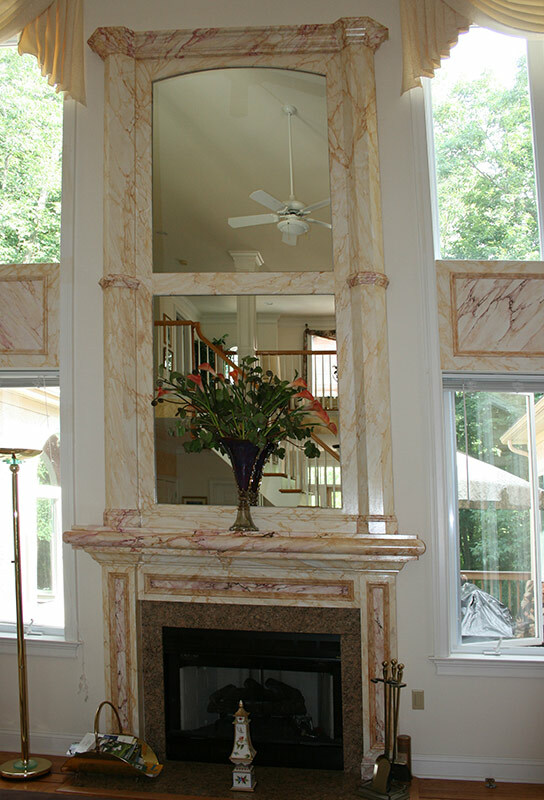 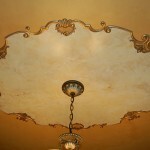 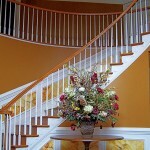 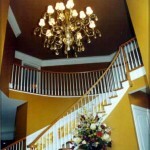 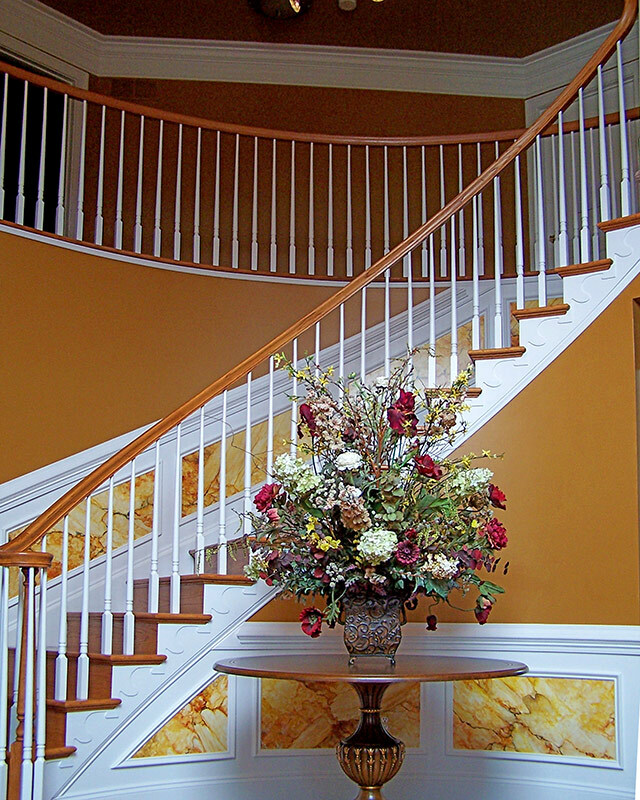 “Marbleizing” or “Marbleized” is a term frequently misused in the decorative painting field. 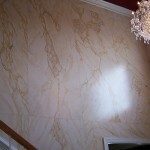 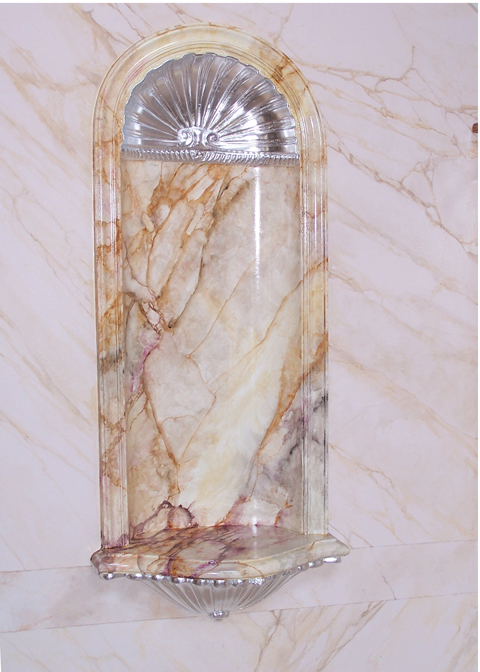 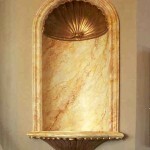 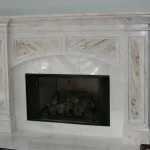 It is referring to a faux finish which simulates loosely a marble “look” without making it look like a real marble. 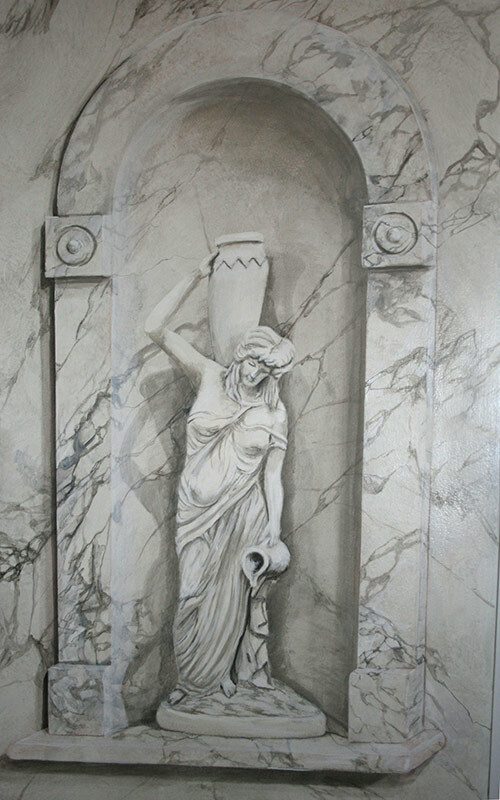 This is done by applying glazes to a surface and manipulating it with plastic. 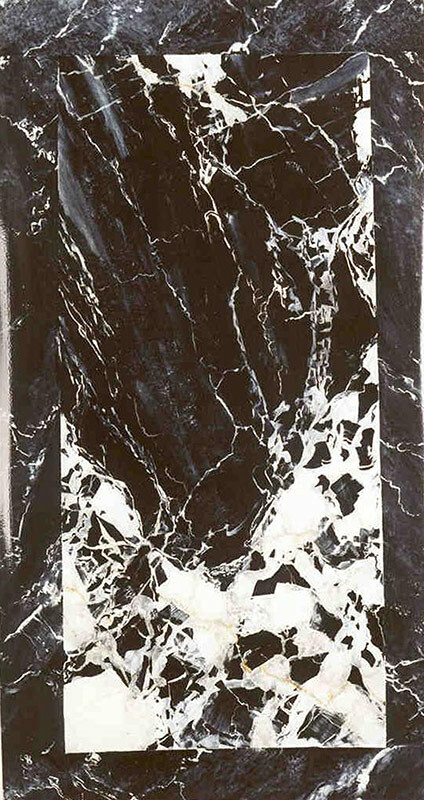 It is also referred to as smooshing. 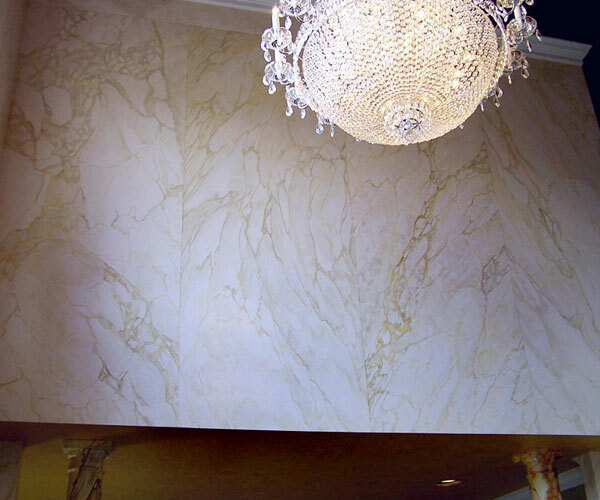 The most realistic marbling is painted in many layers of glazes, some using water born or oil born bases and paints or both. 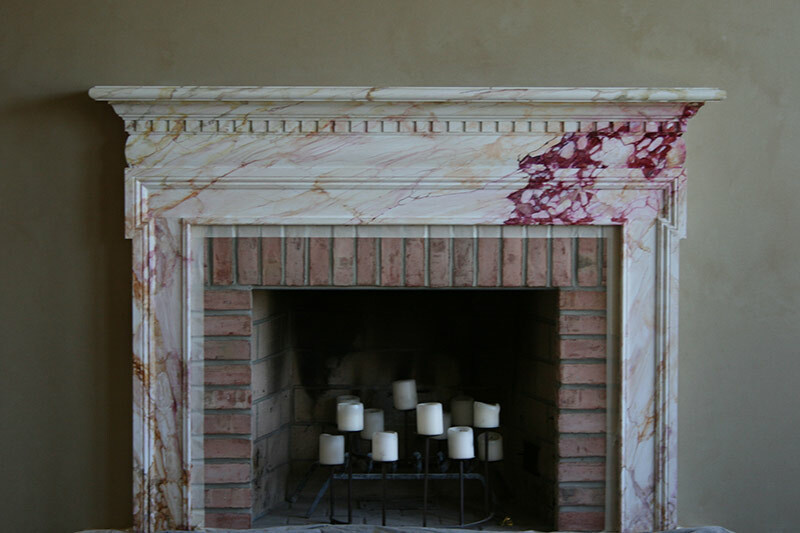 Generally, an antiquing layer is laid onto a well thought out marbling base color in your Philadelphia, Bucks County, Montgomery County or Delaware County residence. 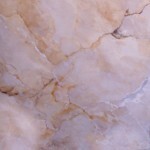 Of course, the marbling substrate has been very meticulously prepared to a smooth surface. 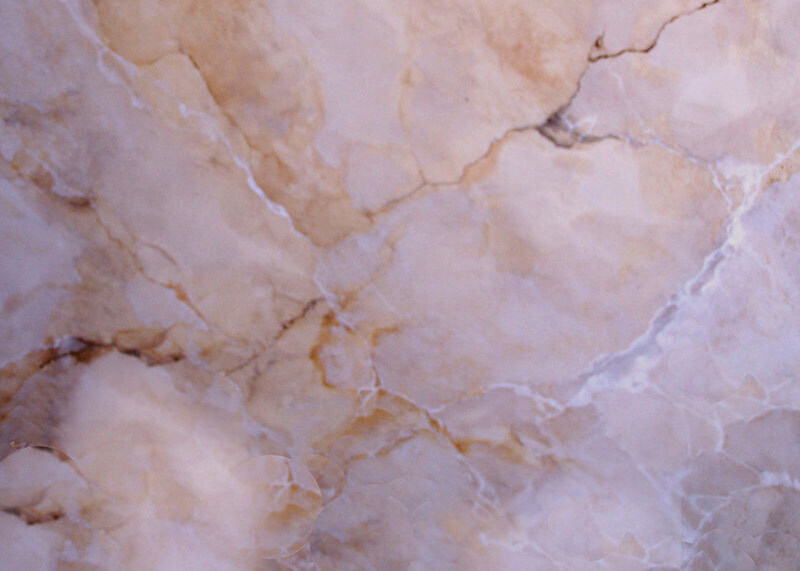 Next the general shapes are laid in your Bucks County, Montgomery County or Delaware County, PA home and will be the skeleton on which to build the next layers of colors, which depend on the marbling being simulated. 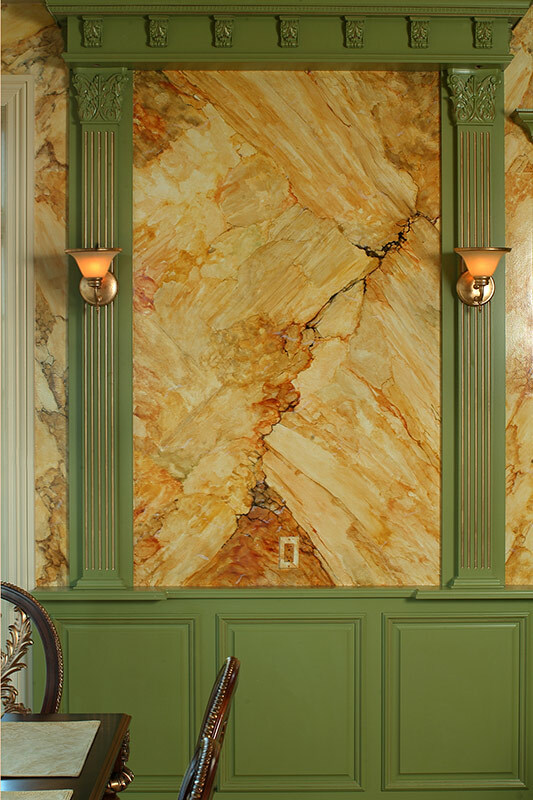 While at your Bucks County, Montgomery County or Delaware County residence, the glazes are blended to lay the veins deeper and left unblended to bring the vein to the top giving marbling depth. 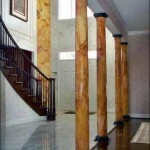 Crystallizations are laid in towards the last marbling layers in your Bucks County, Montgomery County or Delaware County, Pennsylvania home. 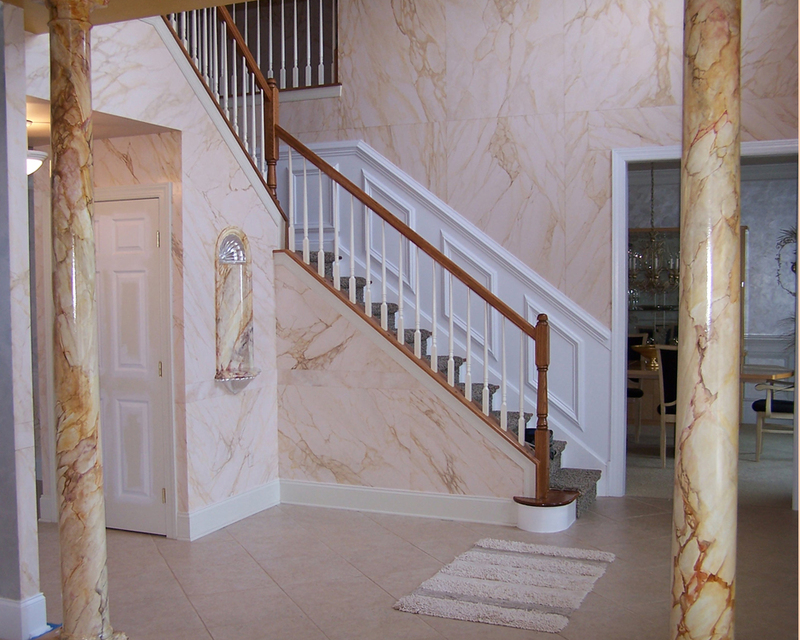 The type of marbling to use depends on the area being decorated in your Bucks County, Montgomery County or Delaware County, PA home. 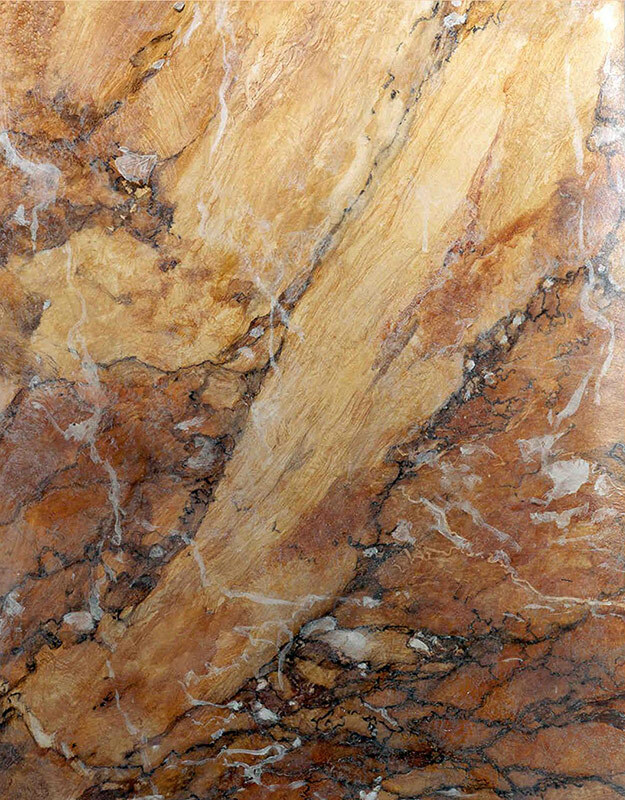 For large walls, a less busy “Breche” marble would be a good choice using a more colorful and perhaps, busier marbling as a marbling accent on the chair rail area and at the crown. 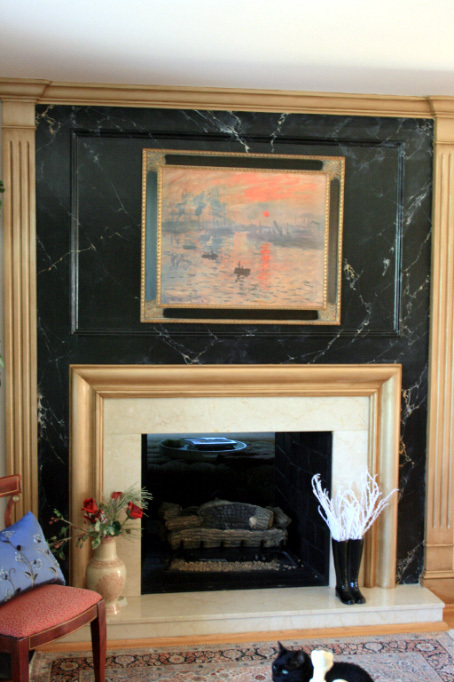 Studying the masters who either painted or installed the real thing in the palaces, cathedrals, museums, public buildings and estates in Europe and America give a great reference to guide us in which marbling to use and where for your Bucks County, Montgomery County or Delaware County home. 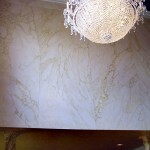 Finally, the marbling finish is applied using either and oil based or water base varnish. 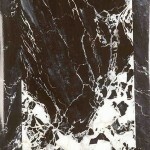 The marbling sheen depends again on the marble being simulated. 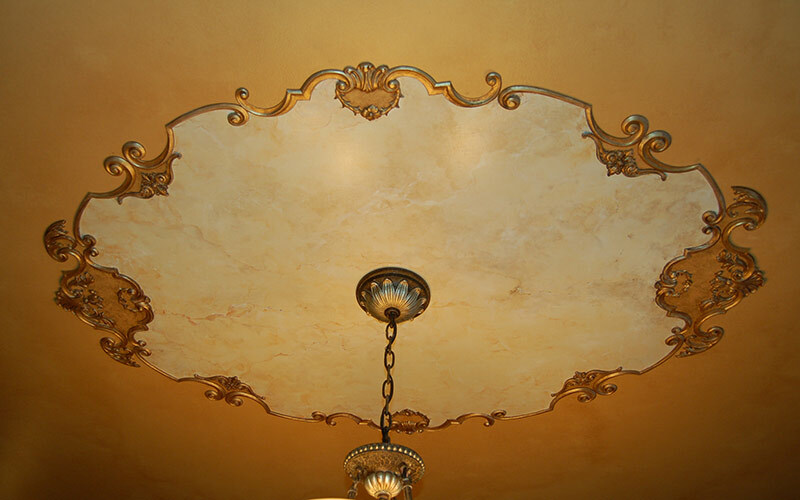 Alabaster, for instance, could be a honed (matte) marbling finish or polished to a high gloss marbling finish for your Bucks County, Montgomery County or Delaware County home near Philadelphia. 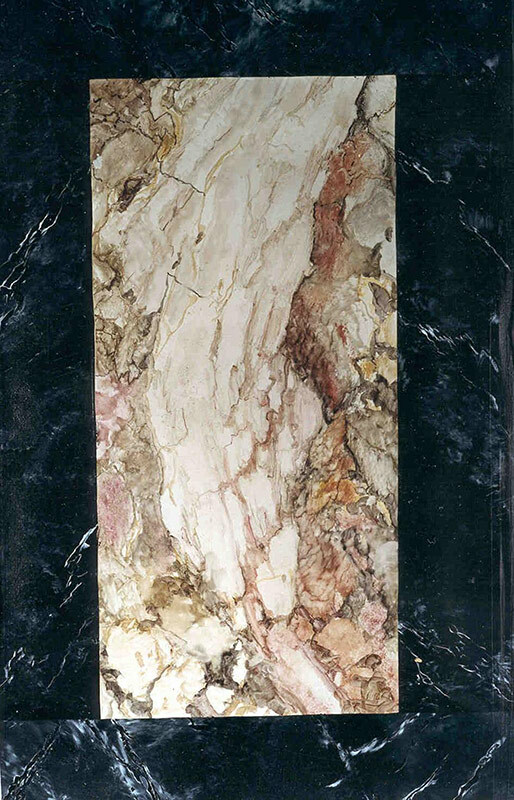 Faux stone painting was widely used in Pompeii, but it really took off in Europe during the Renaissance with two schools of faux painting developing. 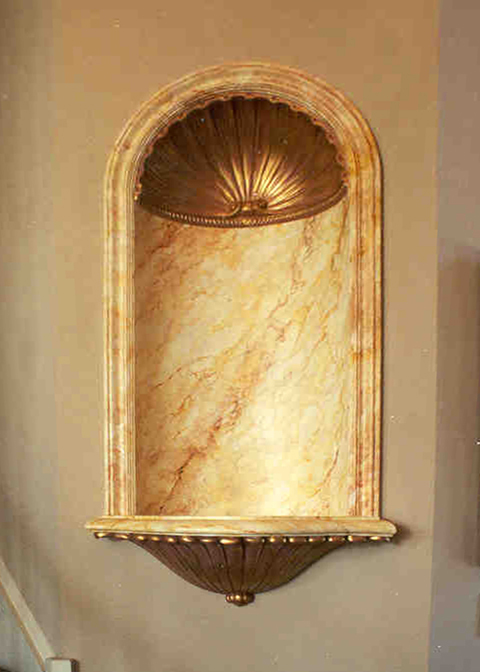 The Italian school was loose and artistic; the French school was formal and realistic. 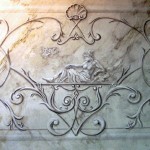 It typically took an apprentice ten years or more to fully master the marbling art. 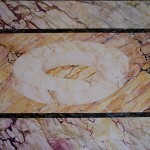 The sophistication of the techniques are such that visitors are frequently unable to distinguish between false and real marbling in many churches, palaces and public buildings in Europe. 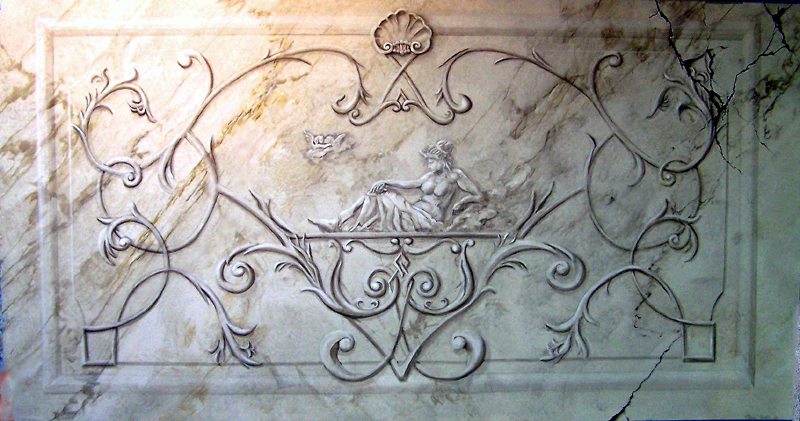 We have brought the Renaissance faux stone painting technique to the greater Philadelphia area. 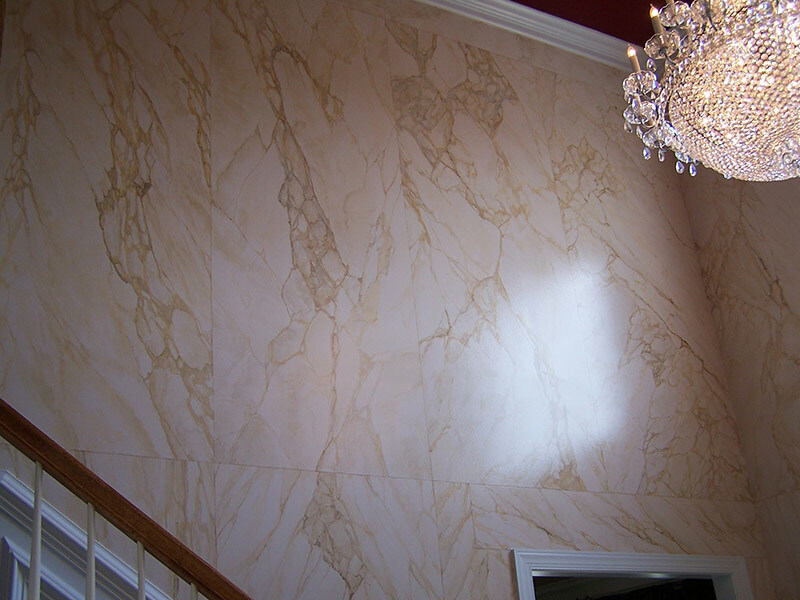 For more on our marbling services or for a marbling estimate in the Bucks County, Delaware County or Montgomery County, PA area, please contact us today.